CPSI provides an electronic health record (EHR) solution for rural, community, and critical access hospitals. 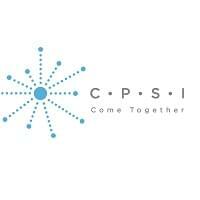 Founded in 1979, CPSI is dedicated to meeting the ever-changing needs of healthcare IT while optimizing the quality of care for rural areas and communities. CPSI provides a complete information and patient care system from business office to bedside, combined with comprehensive implementation, training, and ongoing support from a staff of approximately 1,400 healthcare and business professionals. CPSI’s EHR solution is an ideal solution for rural and community hospitals with 300 or fewer acute care beds. The CPSI EHR System is designed to streamline the flow of information to the primary functional areas of rural and community hospitals in one fully integrated system. The system is capable of supporting both Meaningful Use Stage 1 and Stage 2 measures and has received 2014 ONC HIT Certification. Through the program’s clinical documentation tool, physicians and medical personnel have access to view, create, and update pertinent patient information all on one screen. CPSI’s efficient conversion of existing hospital data combined with one-on-one onsite training for all employees before, during, and after implementation allows the CPSI EHR system to be immediately operational. Additionally, the EHR platform offers optional programs capable of integrating practice management and record management. The EHR solution from CPSI has been implemented by over 650 rural, community, and critical access hospitals throughout the United States. One of CPSI’s earlier customers, Hospital Sierra Vista in New Mexico, was initially skeptical about implementing an electronic health record system but needed to keep up with the future of health care. After choosing CPSI’s EHR solution, Hospital Sierra Vista became the first hospital in New Mexico to reach Meaningful Use Stage 1. Since this accomplishment, Hospital Sierra Vista has been able to remain compliant with regulations and provide efficient patient care. Learn everything you need to know about CPSI. Our experts will reach out to you shortly.